Smiles, laughter and holiday greetings mingled with delicious aromas Thursday at Sondreson Hall. 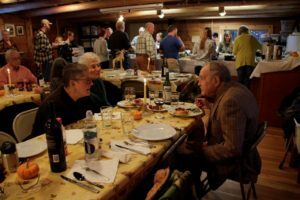 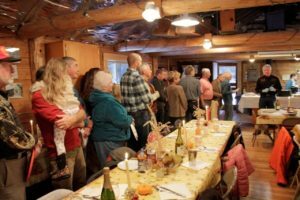 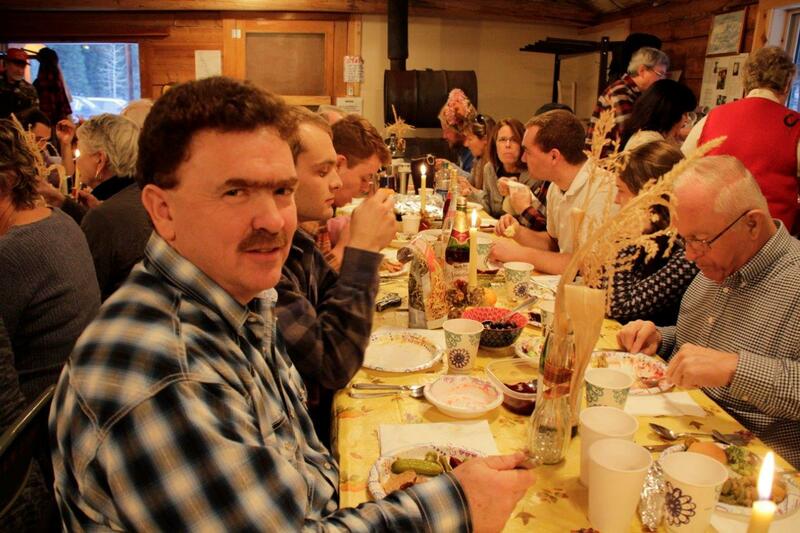 Steve and Christina Berg along with Mark and Margaret Heaphy graciously hosted the Polebridge community Thanksgiving Dinner attended by more than 100 neighbors and friends. Guests came from all over the Northwest and points beyond to celebrate here in Polebridge. 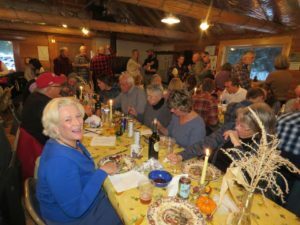 The hall welcomed us with a harvest themed display of straw bales, pumpkins and cornstalks on the porch and candlelit tables. 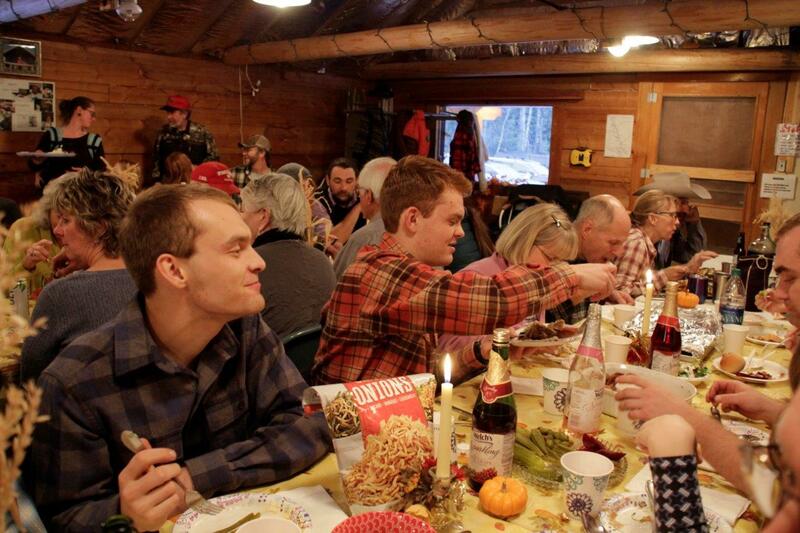 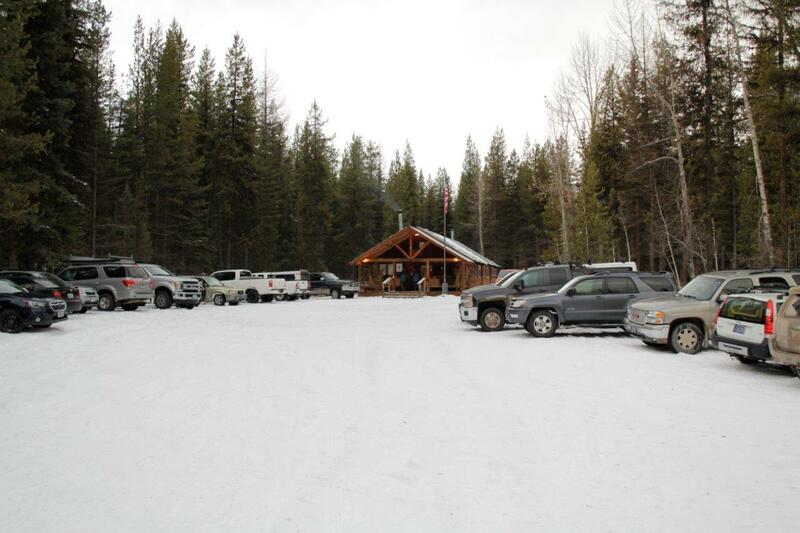 Beautiful snowflakes fell intermittently throughout the evening adding to the rustic charm. Dinner was served promptly at 4pm after Mark Heaphy offered thanks for the blessings we enjoy. 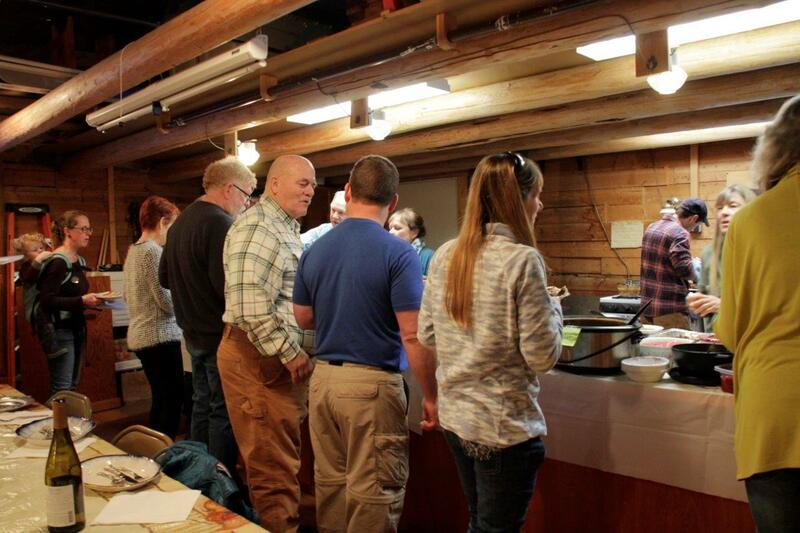 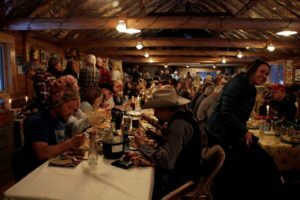 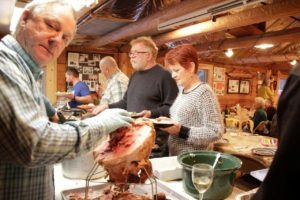 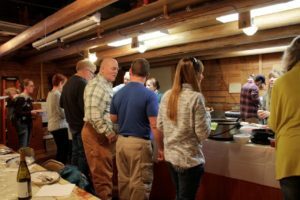 Three Hutterite turkeys and a ham headlined the menu and North Fork cooks filled every remaining inch of the buffet line with fabulous side dishes, breads and salads. 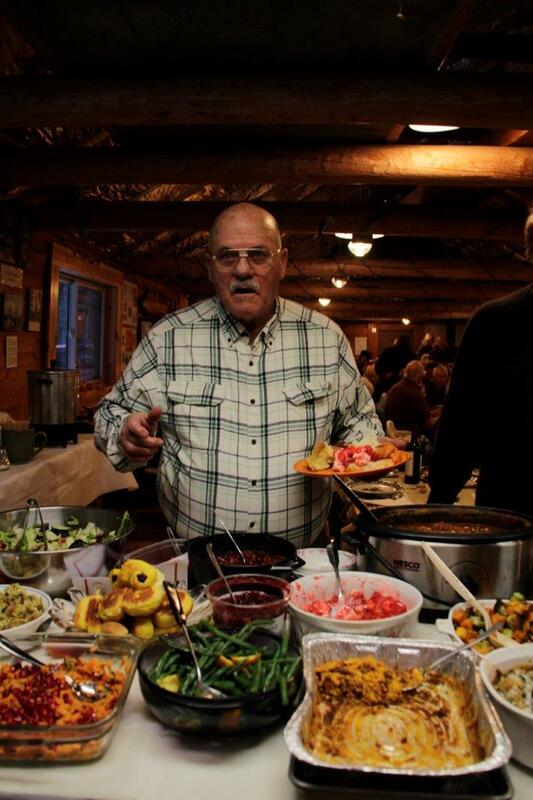 The dessert table boasted many local favorites including Ray Hart’s pecan pie and Joe Novak’s chocolate mousse. Neighbors enjoyed visiting and a chance to catch up with those we hadn’t seen over the summer. 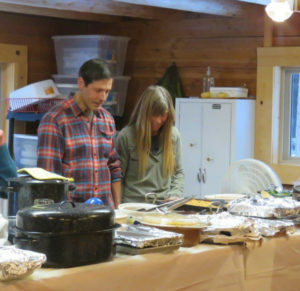 We sampled each other’s cooking and made multiple trips to the dessert table. 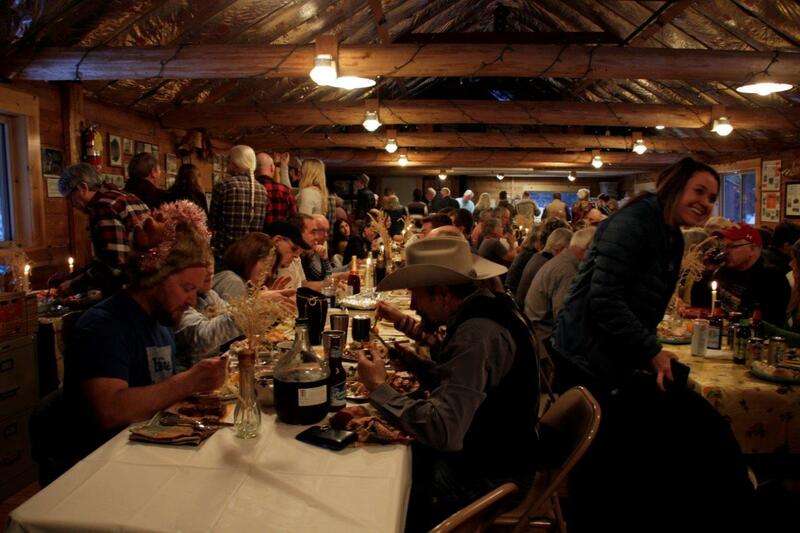 This annual tradition is a wonderful reminder to stop and be thankful for our community, neighbors and the wonderful valley in which we live. 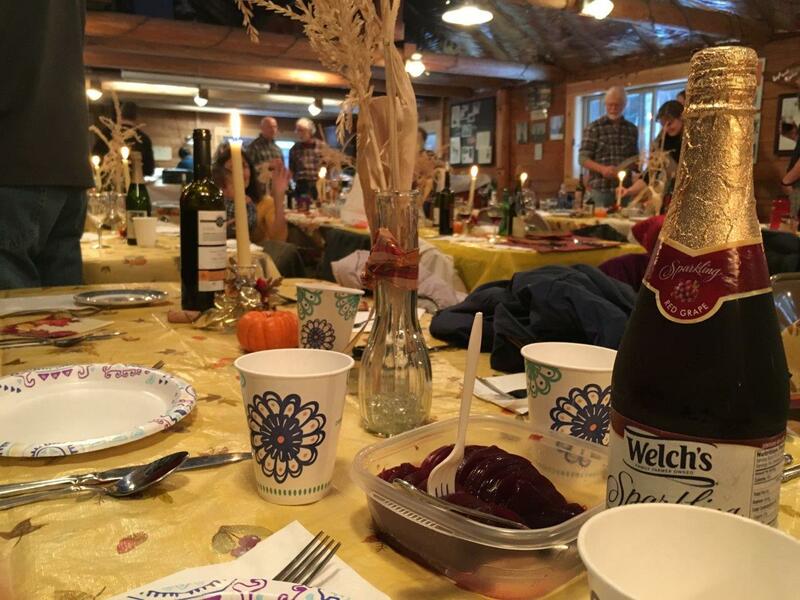 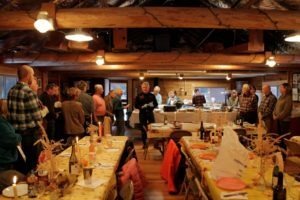 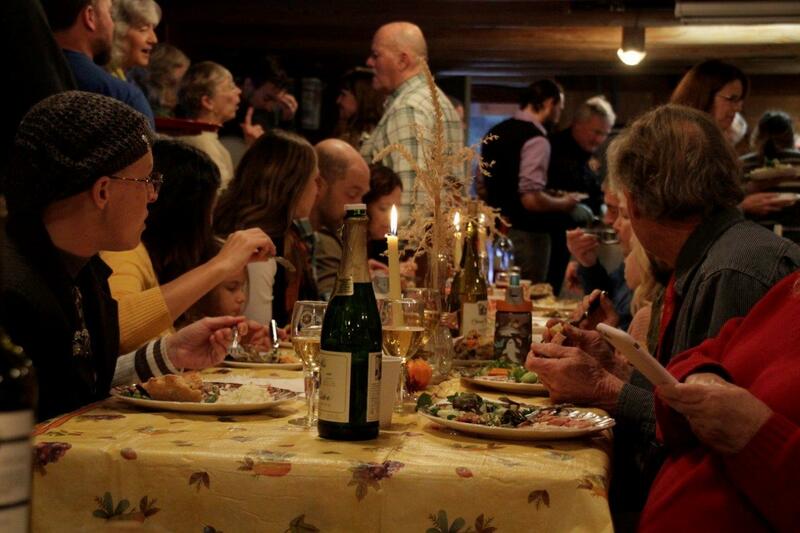 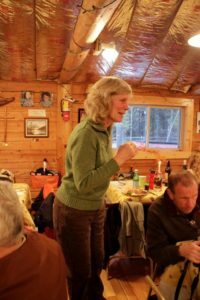 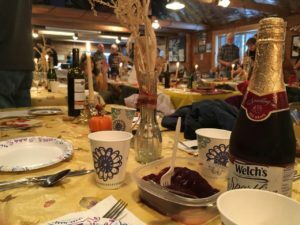 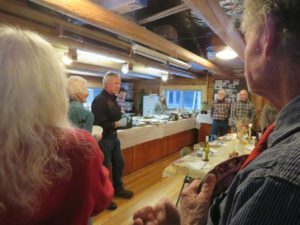 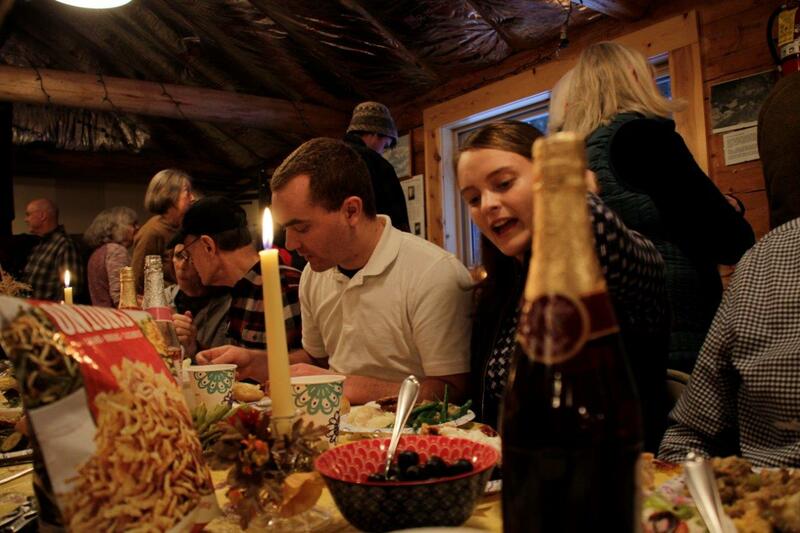 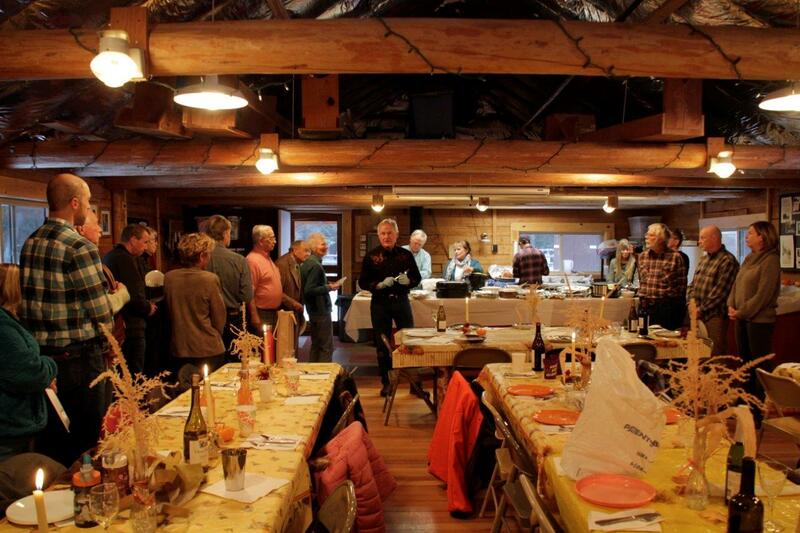 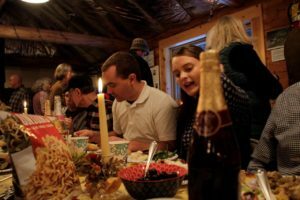 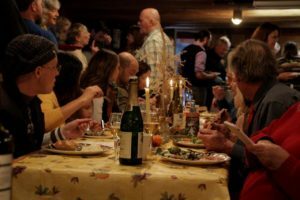 Many thanks Bergs and Heaphy’s and everyone who contributed to create another special North Fork holiday memory.